Midztoyz: Let's make TOYz! : New sculpt: Go Doggie! Go! 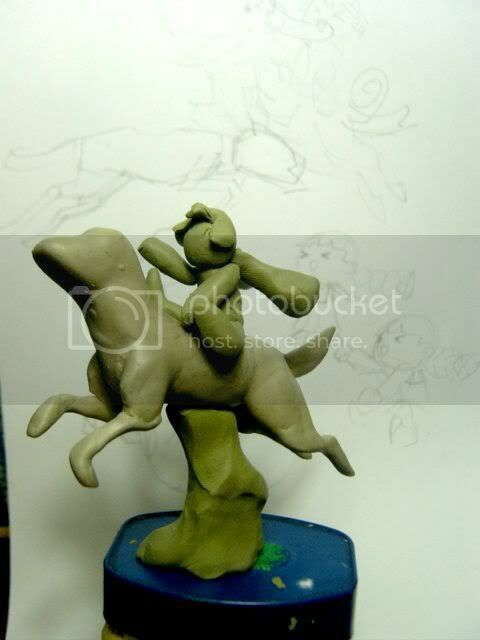 I'm going to take a break from some 'serious' sculpting and do a fun piece for Clubhouse's sculpting Jam. The theme this week is Unconditional Love: pets or any old animal that could possibly be a pet. I'm not going for a realistic look...since I'm not skillful enough yet. So it will be a tooned/anime inspired piece. I'm doing this with homebrew epoxy putty (more on this in the future posts), so at least I'll have something to paint later in the week. Still haven't decide what the dog will be though, since I'm a cat person.